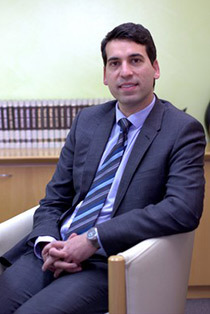 Angelo Karamanis has been practising as a Lawyer since November 2003, both in private practice and as corporate counsel. Angelo set out to start his own law practice and provide legal services under the ideology of professionalism, efficiency, cost effectiveness, and best possible outcome for clients. Angelo’s personalised approach in understanding your business and legal needs provides efficiency and cost effectiveness to clients. Angelo is passionate about helping people with their legal needs and prides himself on achieving the best possible outcome for them. To find out more please contact Angelo.